In 1832 in Italy Mikhail Glinka wrote several chamber ensembles. These works are notable for their sparkling virtuosity, gorgeous colour and illuminating romanticism. Trio Pathetique for piano, clarinet and bassoon is a unique work by the selection of the instruments and an extraordinary freedom of improvisation. It is also notable for a lyrical and confessing character of the music. Delicate dialogues of clarinet and bassoon in the first movement tell a love story that is full of anxieties. After intermediate graceful scherzo in the second movement each instrument pronounces long emotional monologues in Largo in the third movement. The fast finale is concluded by impetuous coda that at premier performance so much astonished a bassoon player Cantue who said: «But this is sheer desperation!». «Indeed I was in despair at the time», admitted Glinka in his memoirs. Serenade on Themes from Donizetti’s Opera «Anna Bolena» was written under the impression of the great Italian opera. The premier performance with Juditta Pasta in the main part «seemed somewhat magical to me… I was overwhelmed with delight», Glinka wrote. It was not only a story of a doomed love of the English Queen that inspired Glinka but also musically gifted sisters Branca whom he met in Milano and to whom he dedicated his composition. After a gloomy introduction the colour is getting brighter and then some contrasting episodes are coming, joyous, moving, deeply mournful or swift and stormy like finales in Italian opera. «Grand Sextet» for piano and string quintet was written at the Komo Lake in Northern Italy and close to the Swiss border. It’s a beautiful country that fascinated the composer by its iridescent colours. His music is full of sensation of the mild Southern nature. 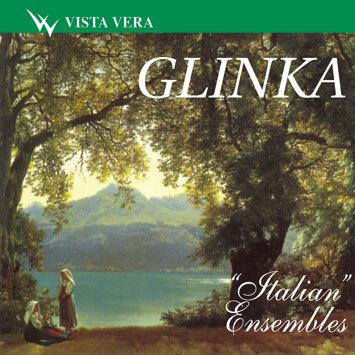 In Glinka’s music the image of Italy is always brightened up with the sounding of bel canto. That’s why a mirage of the opera stage and singing voices do not disappear in all three movements of what Balakirev called «the best of all sextets».